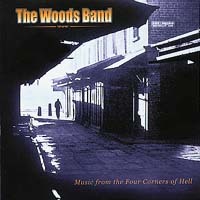 The music of The Woods Band is an eclectic and electric mix of Irish folk songs, some old, but a whole lot brand new. According to founder Terry Woods, their sound is comparable to Sweeney's Men meets The Dubliners meets The Pogues! The original Woods Band was formed in 1970 when Woods left Steeleye Span. The band recorded one album.The band reformed in the summer of 2001 and the present line-up features Woods, Dave Browne and Shane Martin.